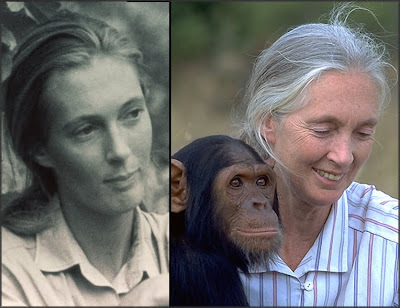 "I'm not going to flat-out deny its existence," Goodall said during an exclusive interview with The Huffington Post before a benefit dinner in La Jolla, Calif. "I'm fascinated and would actually love them to exist. "Well now, you'll be amazed when I tell you that I'm sure that they exist." "Jeff Meldrum's book 'Sasquatch: Legend Meets Science' brings a much needed level of scientific analysis to the Sasquatch - or Bigfoot - debate. Does Sasquatch exist? There are countless people - especially indigenous people - in different parts of America who claim to have seen such a creature. And in many parts of the world I meet those who, in a matter-of-fact way, tell me of their encounters with large, bipedal, tail-less hominids. I think I have read every article and every book about these creatures, and while most scientists are not satisfied with existing evidence, I have an open mind." Watch the HuffPo video interview below and right below that listen to the 2002 Ira Flatow interview; it is one of the first times when Goodall has gone on record publicly with her interest in Bigfoot.